Inspired by Marshall McLuhan’s seminal book “The Medium is the Massage”, Miniclick present a brand new in-print and online experimental participatory project, ‘The Heart Grows Fonder’, which focuses upon the importance of communication and community. 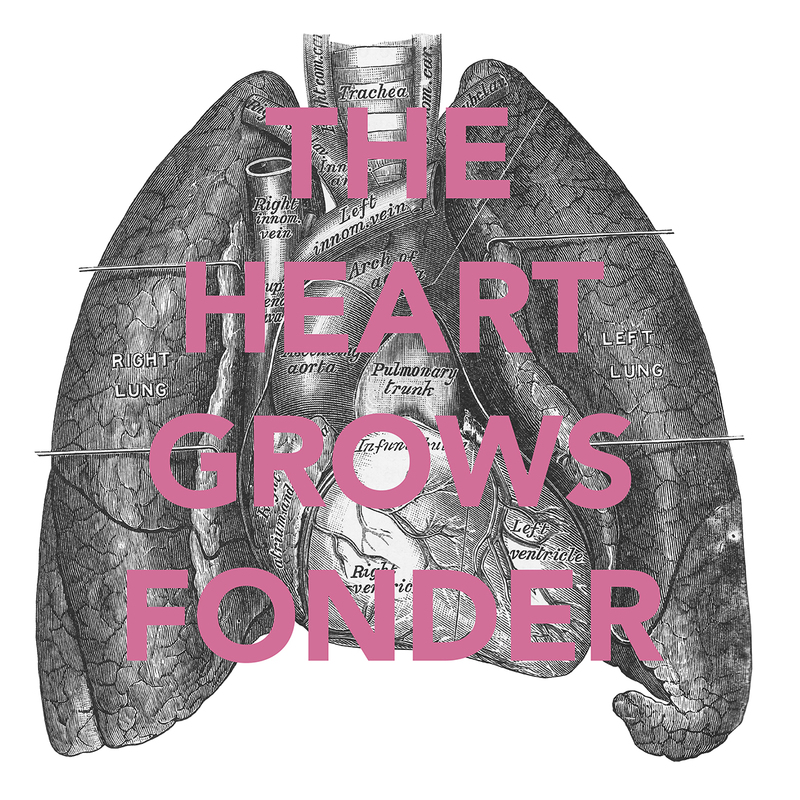 In addition to inviting submissions for an online gallery at www.theheartgrowsfonder.com, all submissions received before October 20th will be printed out on individual sheets for an all day event on Saturday 25th October where visitors will be able curate their own book from submissions. Miniclick will be on hand to help bind the books and the day will also include a series of talks and discussions from ABC. The talks kickoff at 2pm and will features Andreas Schmidt, Louis Porter and EJ Major in person and Travis Shaffer via satellite linkup. Together, they’ll be introducing their work as ABC, discussing the nature of curation and appropriation and their impressions on how the day has gone. It’ll all culminate in a panel discussion at 4pm. All the while, you’ll be able to curate your own book and take it away with you! All day event – Saturday 25th October, 11am to 5pm at The Miniclick Business Concern at 68MS, Middle Street, Brighton. Free Entry. This event forms part of our “Another Way of Looking” programme for October, as part of the Brighton Photo Fringe / Biennial – click here for all the events in our programme. … and submissions should be sent to submit@miniclick.co.uk. All submissions will be added to this online archive, and on Sat 25th Oct will be printed out on individual sheets for a day of live curation exercises as part of the Brighton Photo Biennial and Fringe where visitors will be able to curate their own book of the project. First published in 1967, Marshall McLuhan’s seminal text, The Medium is the Massage’ has remained influential to generations of artists, designers, photographers, illustrators, and humanists. In collaboration with graphic designer Quentin Fiore and producer Jerome Angel, McLuhan created a unique combination of text, photography, collages, archival material, that functioned as a profound and disturbing caution of the devastating currency of the media within society. As an attempt to overcome the fragmentation and detachment which McLuhan spoke of so powerfully, we propose the creation of a community of sorts, first online and secondly in print. We hope that our community, through the submission, sharing, printing, editing and binding of images and texts, will overcome the alienating absences that our increasingly online living fosters. We want to create a community of individuals united by their belief in the importance of communication, and want to address the absence in a positive way: by showing that it only increases our capacity to reach out to each other. We hope you’ll join the community, and share it with others you think might like to get involved too. This is for everyone. The first part of this project will culminate on Saturday 25th October 2014 in a full day of live book making, alongside a series of discussions and talks on the relationships between photography, text, absence, and repair, in association with ABC. We hope that we’ll still receive submissions for the online platform after this date, and to keep building our online archive, and the possibility of future publications and events. The day event in October is part of Miniclick’s month-long “Another Way of Looking” programme, created in association with Brighton Photo Fringe and Brighton Photo Biennial 2014. The titles are completely open to interpretation and can be anything from documentary photography to experimental works, to poetry to prose, to collage to fine art. On Saturday October 25th, all submissions will be printed on individual sheets and available at The Miniclick Business Concern in Brighton, where visitors will be invited to take part in a live bookmaking, curation and editing event. Following a series of talks, participants will be able to create their unique edit of the available images. The Miniclick team will be on hand to bind your edition on the day. Special guest curators will also be on hand for advice, the bar will be open for drinks and snacks, and Miniclick will be live blogging the visitors’ book creations throughout the day. All submissions, text and images, should be emailed to submit@miniclick.co.uk and should be accompanied by your name, the relevant heading from the list above, and your location (if you’re happy to share it). Images should be submitted at 300dpi, a minimum of 30cm along the shortest edge. Images can be colour or black and white, but please note that whilst they’ll appear online in the submitted state, they will be printed in black and white only. Text should be a minimum of 6 words and a maximum of 600. Text can relate to a submitted image but please be aware that they will be printed separately and participants on Oct 25th may or may not pair them as intended (all part of the experiment…). Participants are welcome to submit as many times as they like and may submit both text and imagery. Submissions can only be made by email. To be included in the print day, please submit before October 20th. Participants are solely responsible for the right to reproduce their submissions and by submitting agree to Miniclick adding the images to an online library and to printing the works to be used in the book making event on Oct 25th. The submitter also agrees to allow Miniclick to use them online and in print to promote the project, before and after the date. Work will always be credited to the submitter, online and in print. Submissions remain the copyright of the submitter and Miniclick will be required to contact the submitter should they wish to use the images outside the realm of the project. Miniclick reserves the right not to include any submissions they feel offensive, so be decent. The Miniclick Business Concern at 68MS is located in the middle of Brighton, 1 minute from the beach and a ten minute walk to Brighton Train Station. A number of trains run every hour to London (Victoria – 51mins / London Bridge – 56mins / London Blackfriars – 1hr 03mins).